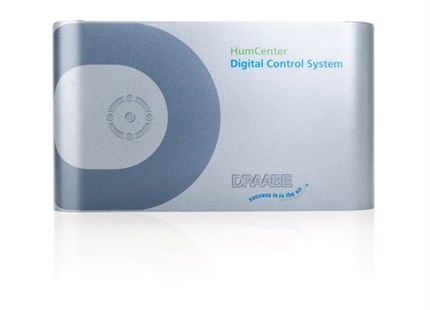 The DRAABE HumSpot is used directly in specific humidification zones or workspaces and controls the desired air humidity there. 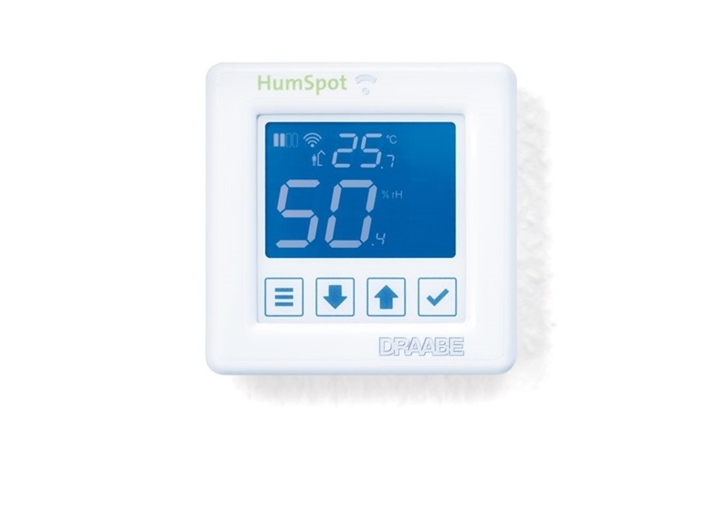 Capacitive humidity measuring guarantees precise activation of the humidification unit whenever readings fall below the setpoint. A permanent status display of the relative humidity and temperature via an illuminated colour display guarantees high user comfort. Do you have a question about the HumSpot? Control and information unit for each Pur container with extensive analysis functions. 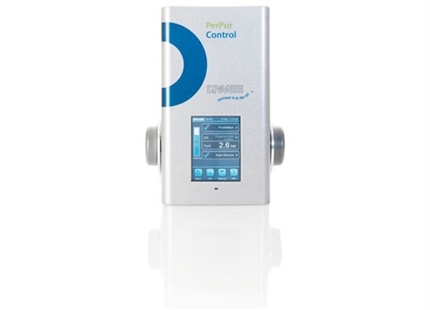 The central controls for all humidification zones and functions of the Pur water treatment.